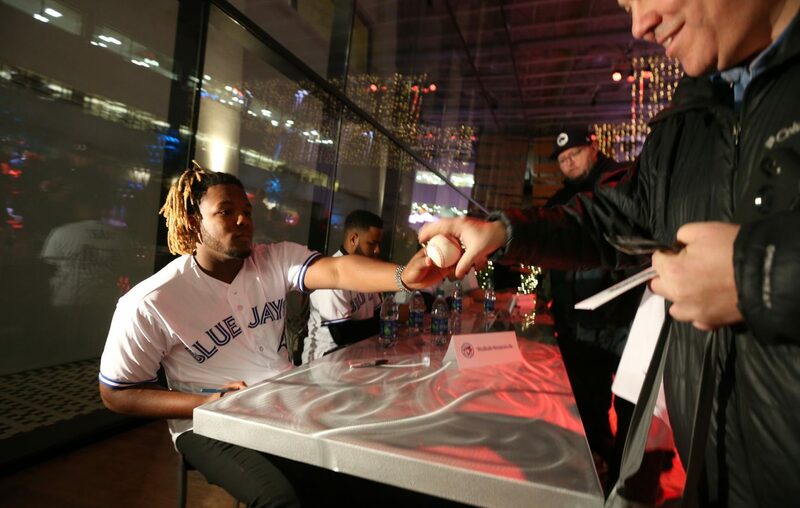 Good news for Buffalo Bisons fans: It appears the Toronto Blue Jays are planning to send Vladimir Guerrero Jr. to Sahlen Field for some injury rehab work at some point in April before his inevitable promotion to the major leagues. Prior to Tuesday's exhibition finale against the Milwaukee Brewers in Montreal's Olympic Stadium, new Toronto manager Charlie Montoyo told reporters that Guerrero is ahead of schedule and already doing work in the batting cage on the road back from the strained oblique he suffered March 8 in a Grapefruit League game. Montoyo said the current plan has Guerrero starting his season in Toronto's extended spring training camp and then joining the Bisons when he is ready for live competition. The Bisons open their season April 4 against Scranton/Wilkes-Barre in Sahlen Field as part of a seven-game homestand before heading to Scranton and Pawtucket for a seven-game road trip April 11-17. The Blue Jays, of course, are concerned about cold weather in Buffalo and may keep Guerrero in Florida until things warm up some in Buffalo. So while it's unlikely Guerrero would start the season in Triple-A, he could join the club at some point on its first road trip or on the homestand that begins April 19 against Pawtucket. Montoyo says that Vladimir Guerrero, Jr. is ahead of schedule, doing cage work. He added that when Guerrero is ready to play, he will go straight to Buffalo. Guerrero was named the Minor League Player of the Year by virtually every publication and website after an outstanding 2018 season that saw him hit .381 with 20 homers and 78 RBIs in 95 games. He batted .336 with six homers and 16 RBIs in 30 games with Bisons late in the season. The Blue Jays are looking to keep Guerrero out of the major leagues until late April so they can monitor his service time and push his free agency eligibility back to 2024. "All my life I've learned to control what I can control," Guerrero told The News when he came to town in January for the Bisons' Hot Stove Prospect Showcase. "I'm focused on doing the best. When I go on the field, my mind is focused on just doing what I need to do. I trust the team knows how to make decisions. I'm just focused on doing the best I can." Story topics: Buffalo Bisons/ Toronto Blue Jays/ Vladimir Guerrero Jr.